President Museveni at the International Youth Day 2018 celebrations at Kampiringisa Rehabilitation Centre in Mpigi District. 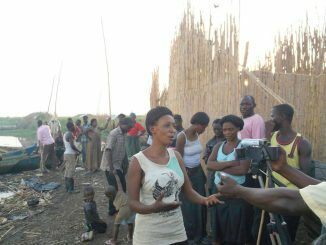 President Yoweri Museveni has tasked the National Youth Council to inquiry from village council leaders on whether Universal Primary Education (UPE) should be reviewed to allow monitory contributions from parents. 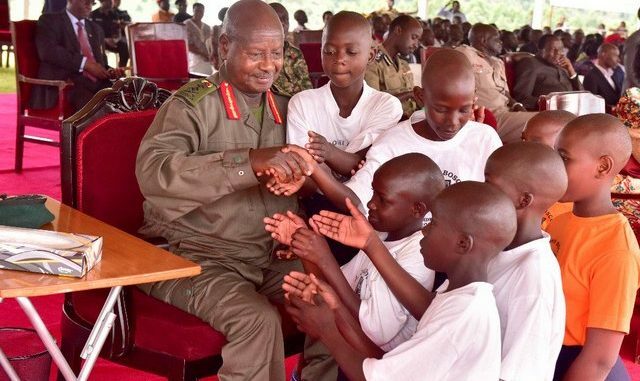 According to Museveni, he is still confused on which side to take as some people are suggesting that parents can afford contributing something towards the education of their children. Many schools, especially those in urban areas resolved to levy an optional Shillings 10,000 for lunch and Shillings 10,400 for utility bills like water and electricity. He says government will take a decision after hearing from the local leaders. Government rolled out UPE in 1997 and abolished all kinds of fees. Primary school enrollment increased from 3.1 million pupils in 1996 to 7.6 million in 2003 following the introduction of UPE. Government introduced Universal Secondary Education (USE) ten years later to enable eligible primary school graduates enroll in secondary and vocational training institutions. While government promised to pay the fees, parents were expected to provide scholastic materials and midday meals for the learners.